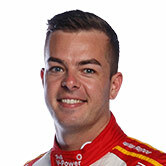 Scott McLaughlin shaded Shell V-Power Racing team-mate Fabian Coulthard in third practice for the WD-40 Phillip Island SuperSprint. In a reversal of the order on Friday afternoon, an early 1:30.1861s set by McLaughlin was good enough to beat Coulthard by a mere 0.043 seconds. 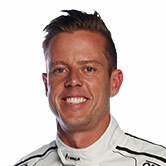 James Courtney took third place in the 30-minute session that precedes ARMOR ALL Qualifying for Race 9 of the season. 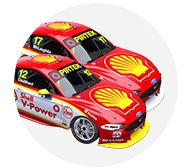 That session will feature the likes of Jamie Whincup, David Reynolds and Mark Winterbottom trying to escape the first phase. Overnight rain meant drivers were greeted by a largely-dry track surface that still had the occasional wet patch on the verges. Times were quick from the outset, though, Whincup turning a 1:30.5028s on his first flying lap to edge McLaughlin, who logged a 1:30.1861s the next time around. That matched Friday afternoon's pace, and had McLaughlin three tenths clear after the first runs and ultimately well beyond a red flag for geese with 12 minutes left. McLaughlin's bid to improve in the closing stages was scuppered by traffic at Turn 1, in the form of James Golding on an outlap, an incident to be investigated post-session. Coulthard closed to within 0.0443s of McLaughlin with 90 seconds left on the clock, and that was how it stayed at the top. "It was a bit of a balls-up," said McLaughlin said of the run-in with Golding. "It’s not the nicest thing going down the front straight and cars weaving going into one of the fastest corners in Australia. Golding, who ended up 21st-fastest, added: "I was just warming my tyres up out of the pits and didn’t see Scotty coming up behind me. "I obviously wouldn’t be doing that sort of thing on purpose, lucky it wasn’t qualifying otherwise I’d be getting a penalty. "We’re sort of struggling a bit with the car, when we’re putting green tyres on we’re not really getting that gain. "So we’ve got a bit to work on, but we’ve still got a long way to go in the weekend." Courtney had battled front-brake locking at Symmons Plains last weekend and then on Friday. 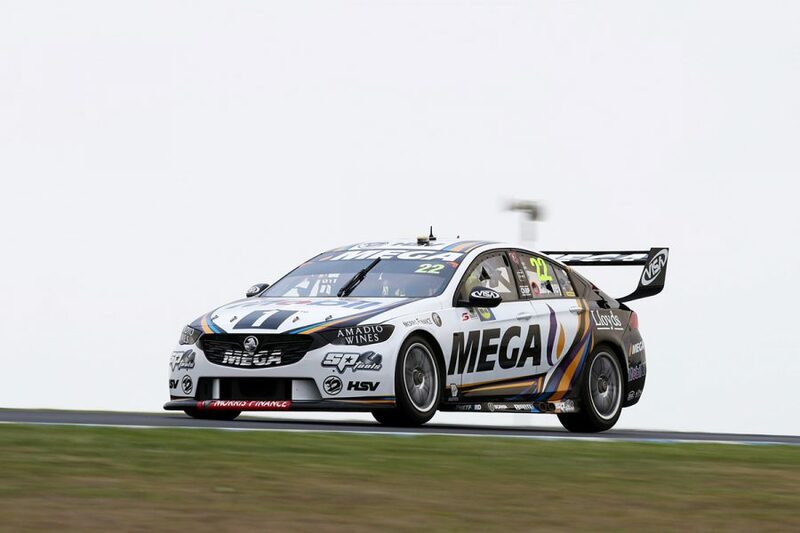 He jumped up to third from the base of the top 20 in the closing stages in his Mobil 1 MEGA Racing Commodore, 0.2316s adrift. 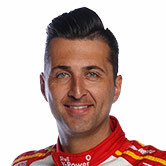 Fourth went to Cameron Waters from Whincup with his initial time, and Chaz Mostert, who made it four Mustangs in the top six. "We definitely made an improvement on the car, definitely a step forward, but still a long way ago," Whincup, who was 11th on Friday and missed a direct Q2 spot, said. "We’ve improved both [front and rear grip], but still no major strength. Still got that understeer, oversteer sort of scenario going on. "But we’re chipping away. Unfortunately we’re coming from a long way back but we’re slowly improving the car as the weekend goes on." 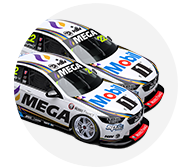 Todd Hazelwood, Lee Holdsworth, lead Nissan Andre Heimgartner and Scott Pye rounded out the top 10. Reynolds was 11th in his Penrite Holden after a morning affected by a sensor problem, with Rick Kelly, Shane van Gisbergen and Mark Winterbottom filling the places to 14th. Nick Percat had a wild ride wide at the final corner during the middle of the session and wound up 19th. Knockout ARMOR ALL Qualifying starts at 1:15pm at Phillip Island, setting the grid for Saturday's 27-lap race.